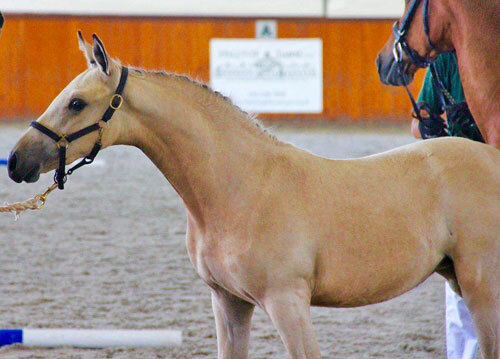 Galaxie is a stunning buckskin filly, smart, athletic and in your pocket pony. 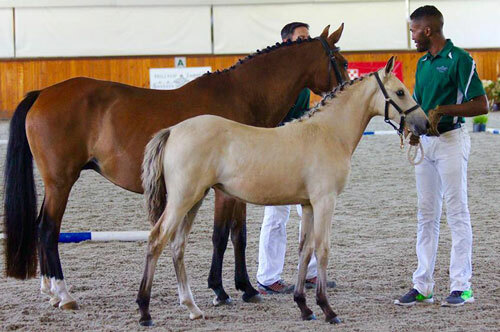 Her dam, Hoppenhof's Silvia -/*/-, has been our best producing mare, Dam of Premium colt Foster, Premium colt & approved stallion Webster, Wrefleksion, Wrolex, Premium filly Forrest Folly, Premium mare and FEI dressage Pony Wicked Games and super 2** eventing pony Forrest Nymph. 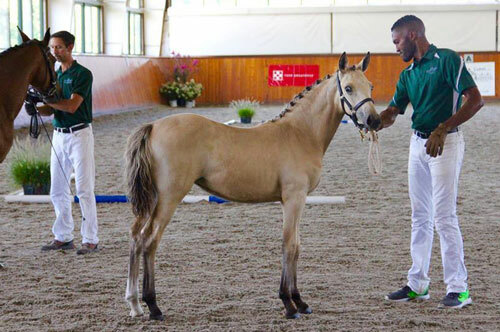 Galaxy is bred and has the movement for FEI dressage and in addition the athleticism for jumping. 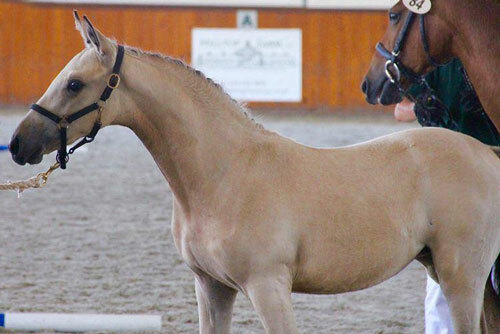 She would be best suited for a petite rider wanting to make a name for themselves in the show arena. Galaxie will be attending her breed inspections in August. Update: SOLD! Congratulations to S judge and Sport Horse judge, William Solyntjes, on the purchase of this spectacular filly.